I recently had an epiphany about the Tampa Bay Area during a weekend stroll with our 2 1/2 year old mutt Jasmine. I realized that over the 12 years I lived in, out and around the Tampa Bay Area, it has slowly but surely become a true destination for outdoor fitness activities. The area is well-known for its beaches, which are prime training grounds for someone like myself who participates in triathlons, but it’s the locations away from the beaches that makes me believe the Tampa Bay Area is becoming more conducive to the active lifestyle. The new additions include bike lanes (which are necessary for the new bike sharing program), running paths, and green spaces. Tampa is not only creating new areas for outdoor activities, they are also renovating existing outdoor exercise areas, and one happens to be right outside my front door. Ok, so the last statement wasn’t entirely true, but Bayshore Boulevard Linear Park is only a 5-10 minute walk from my apartment. This is extremely beneficial, because Bayshore provides 4.5 miles of uninterrupted sidewalk that is perfect for road work, whether it be on foot, rollerblades, bike, or those funny looking 3-wheelers that you have to sway side to side on to propel. The sidewalk is 10 feet wide and multiple online sources claim it is the longest continuous sidewalk in the world. I love using this location for long runs, short runs, and interval training because I don’t have to worry about watching out for cars. It also provides the occasional dolphin sighting and great scenic views of Downtown Tampa and Hillsborough Bay. 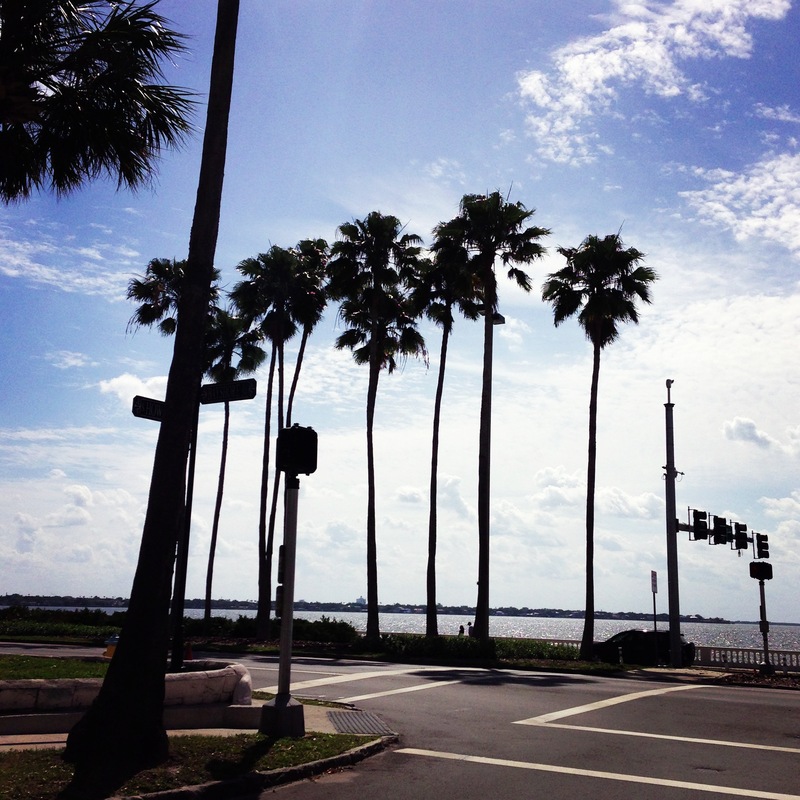 Bayshore Boulevard acts as one of the main arteries connecting South Tampa to Downtown Tampa. In addition to the longest continuous sidewalk in the world, Bayshore also provides on-road bike lanes. Until recently, only the northbound side had a bike lane, which forced many cyclists, like me, to make our southbound trips on the sidewalk. But now the city is slowly adding bike lanes to the southbound side to entice cyclists back to the road. The city has also replaced all the exercise equipment on the portion of Bayshore referred to as the Bayshore Fitness Trail. The new equipment includes items such as pull-up bars, dip stations, sit-up benches, push-up stations, and my personal favorite – monkey bars. These stations provide more opportunity for a full body workout while visiting Bayshore Boulevard Linear Park. Hopefully you will take advantage of the opportunities that Bayshore Boulevard provides. Get out there and get active, because your health is worth it. HIT IT! If you’re interested in a visual account of Bayshore Boulevard Linear Park & Fitness Trail, a video I shot out there will soon be up on the Elemental Training Tampa YouTube channel.